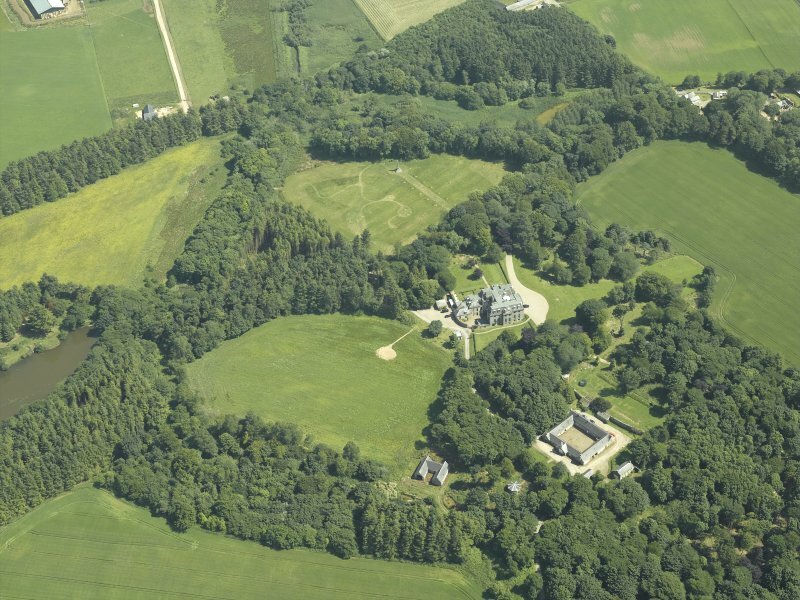 Oblique aerial view centred on the country house, stable block and walled garden, taken from the N.
Oblique aerial view of Crimonmogate House, looking to the NW. 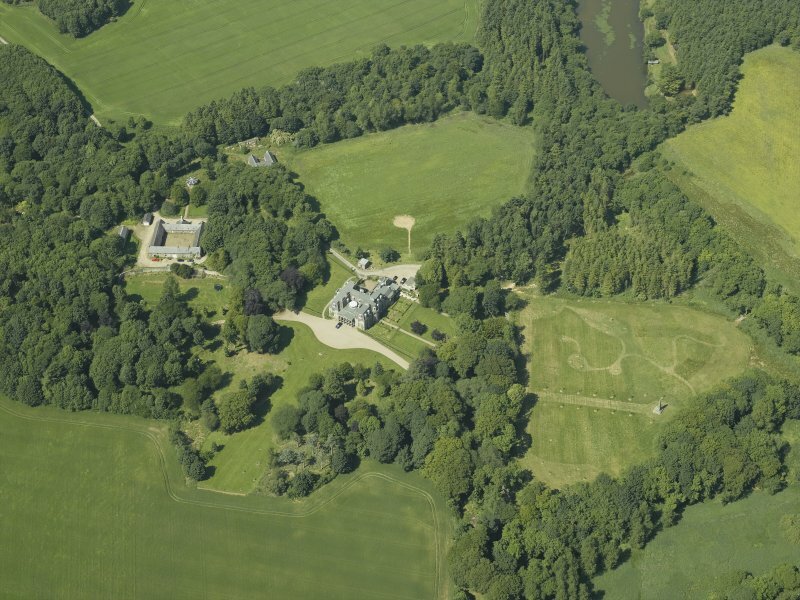 Oblique aerial view centred on the country house, stable block and walled garden, taken from the NNW. 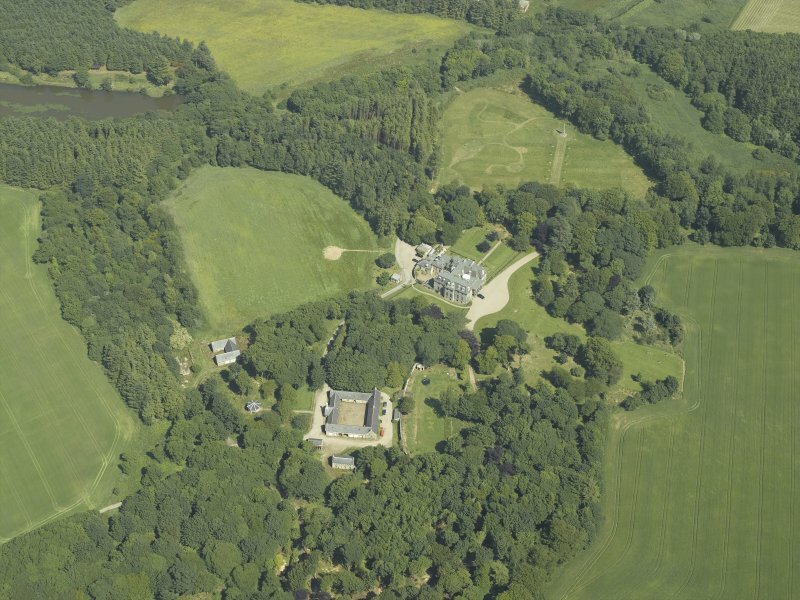 Oblique aerial view centred on the country house, stable block and walled garden, taken from the WSW. 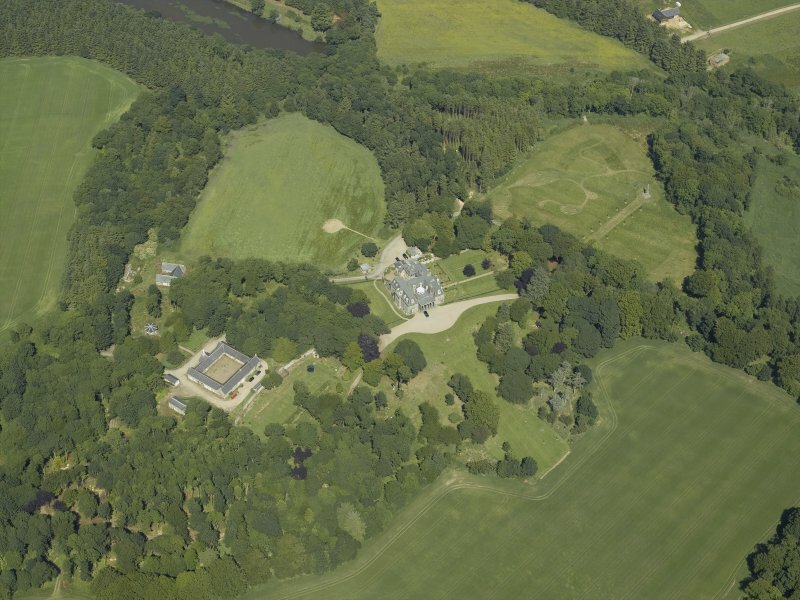 Oblique aerial view centred on the country house, stable block and walled garden, taken from the SSW. 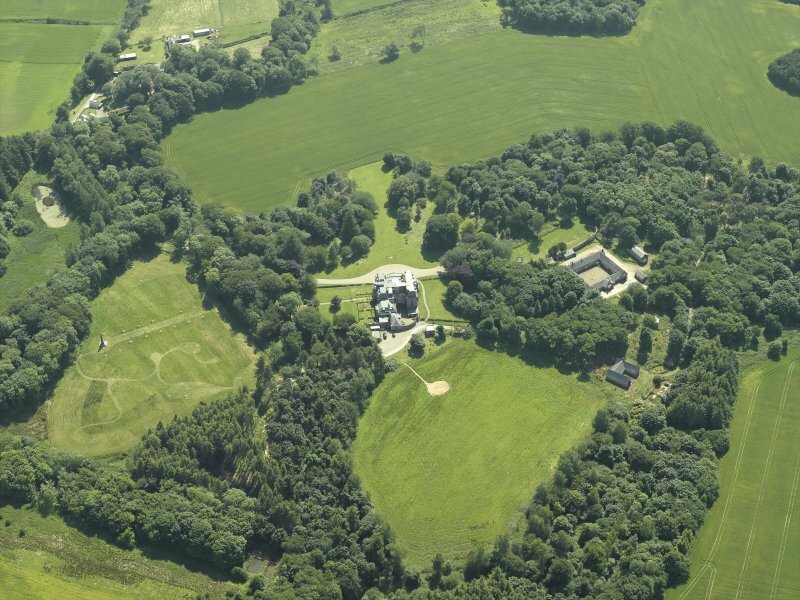 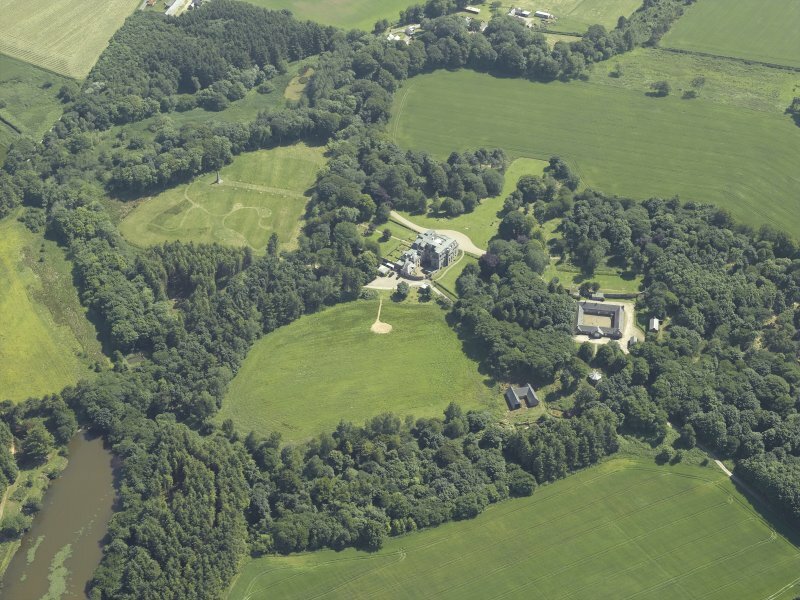 Oblique aerial view centred on the country house, stable block and walled garden, taken from the NW. 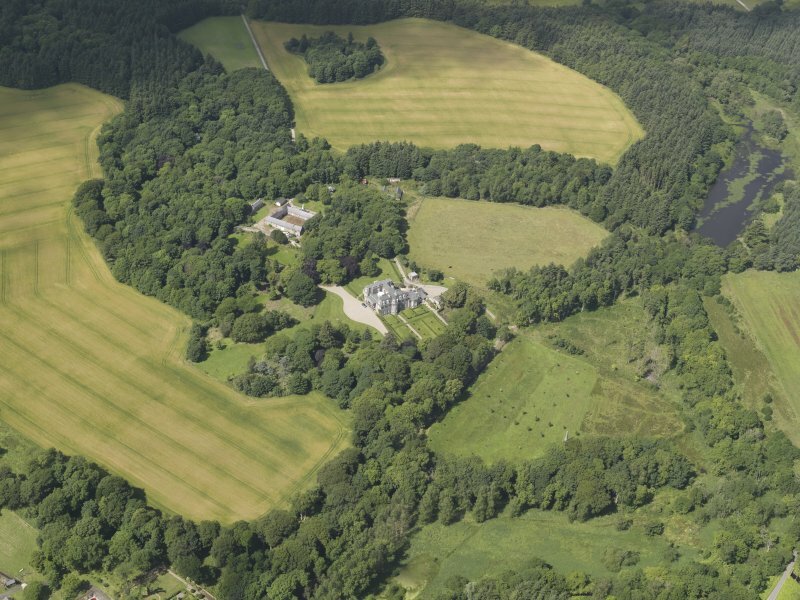 Oblique aerial view centred on the country house, stable block and walled garden, taken from the S.
Designed by Archibald Simpson, c.1825. 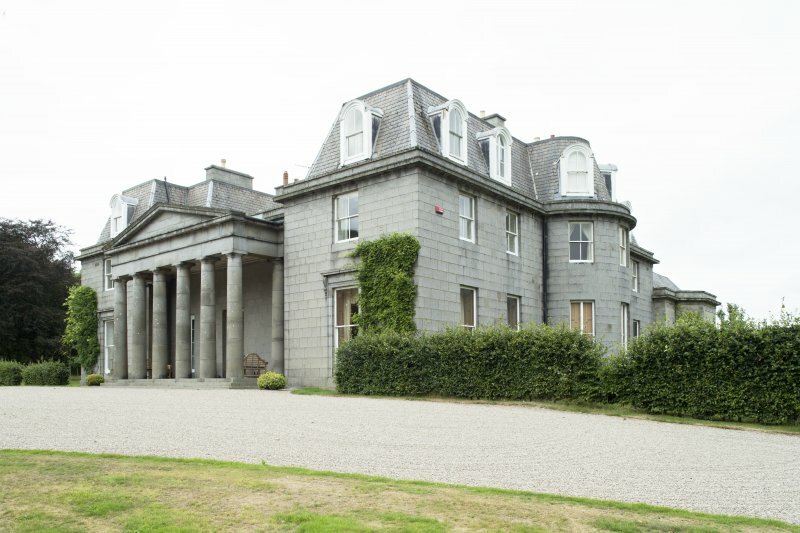 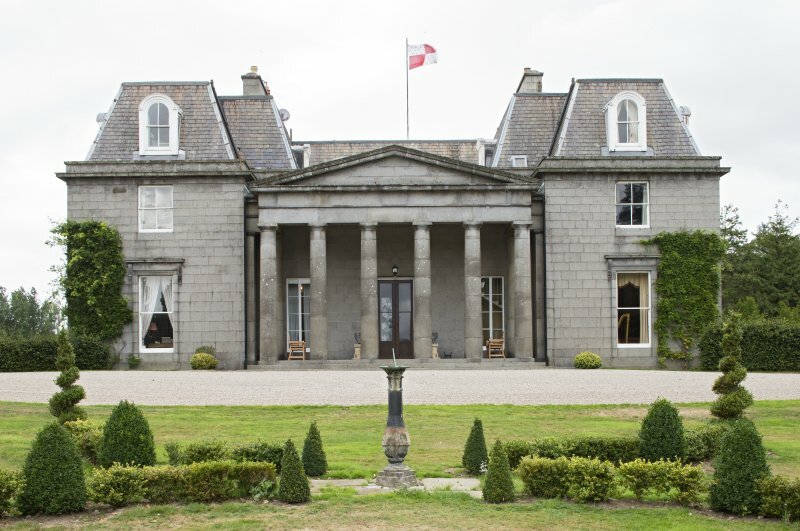 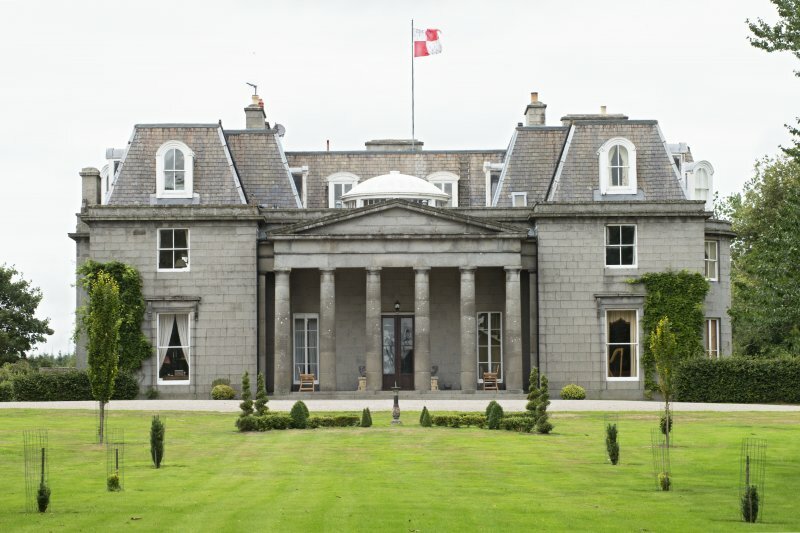 Originally two storey granite bloch with central hall covered by dome and entrance behind portico. 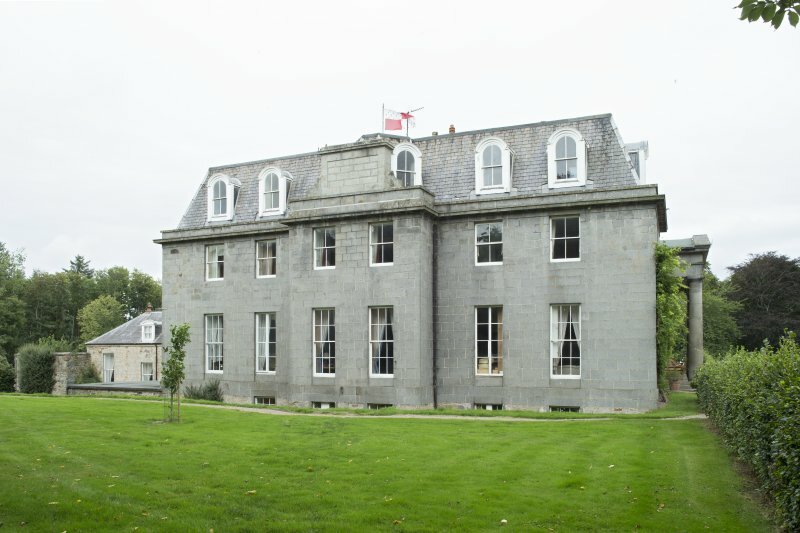 Mansard roof providing an extra floor added c. 1860. 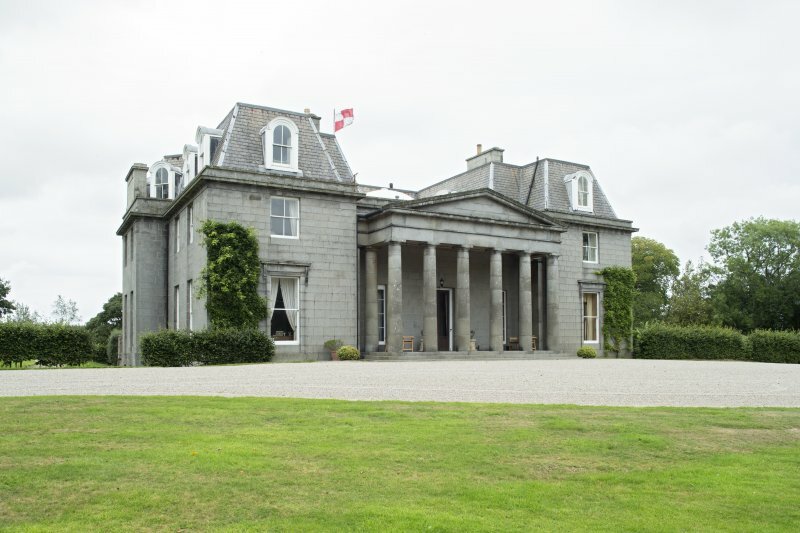 Photographed on behalf of the Buildigns of scotland publications 2013-14.